In this Podcast episode, I highlight the idea of dream setting. Dream setting is my way more fun and exciting spin on the concept of goal setting, as the ultimate path to success. This week I’m going to let the podcast speak for itself and keep the show notes to a minimum. I think you’ll enjoy the episode and hopefully get a lot of useful takeaways to create the life of your dreams! Reference post mentioned in the Podcast. This week’s tool/plugin of the week is the Related Posts module of the Jetpack plugin for WordPress. Unfortunately, the nRelate plugin that I’ve utilized since the plugin came out, is shutting down operations at the end of this year. Fortunately, Jetpack contains a related posts module and I just converted things over and so far so good. Things don’t look exactly the same, but it should do the trick. 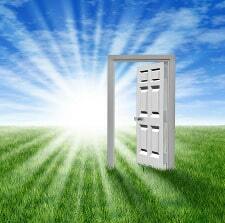 Dream setting can be a very powerful and fun way to map out your own path to success and freedom. I truly hope you got some good nuggets out of this week’s episode and I’d love to hear some of your own goals and dreams for the new year! Drop a comment below and let me know how you liked the episode and share some of your goals and dreams for 2015 and beyond! Having trouble coming up with a great niche topic or drawing a blank on what to write about? By entering your email, you will receive blog updates, helpful tips and special offers on niche site tools. PLUS you will instantly receive the Ultimate Keyword Brainstorming Checklist. Hey Cheryl, thanks for the comment! There definitely isn’t anything wrong with adding a little wine to get the creative juices flowing! It’s funny, I got into a financial Podcast recently where the co-hosts start every episode asking what each other are drinking and it’s usually a microbrew beer or wine of some sort. Go forth and get those dreams and goals down on paper and I wish you all the best in the new year! Your email will remain 100% private, this is a spam free zone! 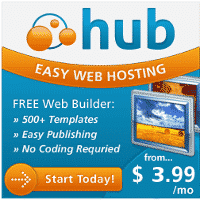 Web Hosting Hub is where this site and all of my main sites have been hosted for the last 6+ years. They provide a free domain, free zero-downtime transfers and can even automatically install WordPress for you. Their customer support is excellent! Spark - 2 Website Unlimited plan only $3.99/month! Check out the best plugin for building your email list, fast and easily with eye catching, professional looking opt-ins. Options include top of the site banner, fade-in light boxes, content lock, welcome mat and the very popular exit intent pop-up. Special Offer: Long Tail Pro is currently offering access to all the features of Long Tail Pro for a one time payment of only $47! Be sure sure to take advantage of this limited time special while it lasts! 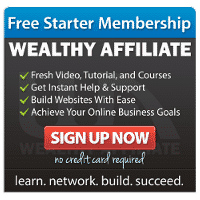 Free step-by-step training program on how to create successful affiliate sites. Includes everything from choosing a niche, keyword selection, search engine marketing (SEO), website setup and content creation. By entering your email, you will receive blog updates, helpful tips and special offers on niche site tools. PLUS you will receive the Ultimate Keyword Brainstorming Checklist!